We have finally set the time aside to put together the self-portraits of Francis Quirk in one spot. It is an interesting mix of different styles and ages. We are leaving out one image that is in the collection of the Snape Collection at the University of Notre Dame. They have a particularly restrictive policy on sharing images, which in this humble amateur scholar's opinion runs counter to the purpose of an art museum's mission of fostering art appreciation. However, the Snape team does get partial credit as they did share with us an image of their Quirk painting when we were building a signature library in our early days. The first is a pastel drawing that was in his papers at the 2016 Auction in Maine. The young Quirk has piercing eyes, brown hair and a strong chin in an almost cartoonish self depiction. Based on the Materials backing this oil painting, we believe it may have been painted when Quirk was in his late 20's or early 30's. His hair is still brown. Quirk has a more serious tone and a few more wrinkles in this rather serious frontal view. A more pensive profile has a more mysterious aura. While not a focused self-portrait, this painting of Quirk with his wife Anna also includes his profile. This painting was exhibited at the Pennsylvania Academy. The Self Portrait below illustrates Quirk's sense of humor and knack for self-promotion. He is perhaps the only artist with a portrait and self-portrait in the National Portrait Gallery. 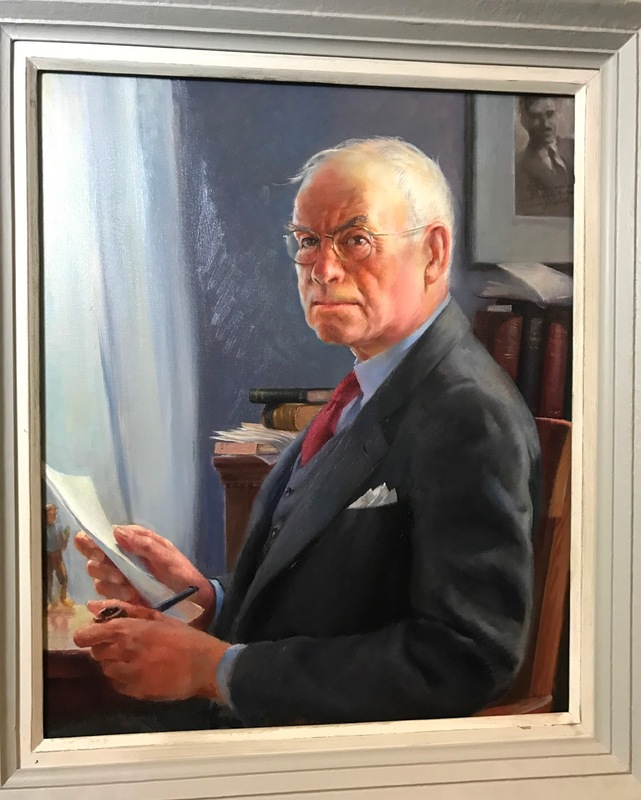 He cleverly embedded the sefl-portrait in his commissioned portrait of Edgar Lee Masters. 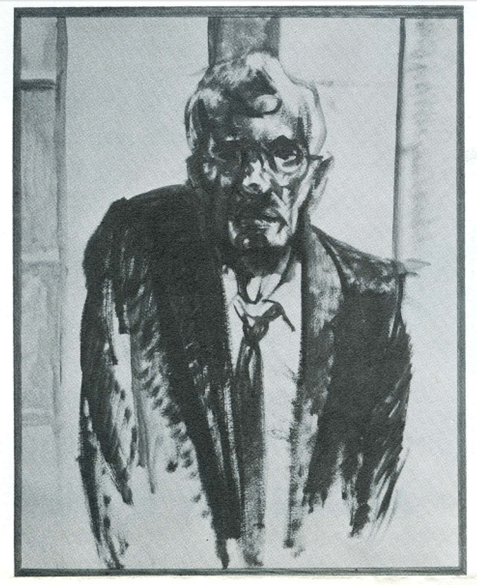 Quirk exhibited this gray haired self-portrait in his final exhibition at Lehigh University, which also included works from Ossabaw Island. 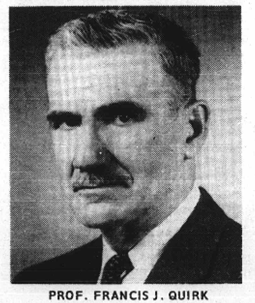 Photo of Francis J. Quirk at the time of his retirement from Lehigh University.